To be honest, I am not familiar with Cord blood and its many benefits. The article below may enlighten us about it and how Cord blood may be the new hope for Leukemia. A Philippine organization is posed to spearhead the establishment of an (ASEAN) Association for Giftedness to leverage economic growth through human capital development. Non-profit group Philippine Center for Gifted Education Inc. (PCGE), led by Dr. Leticia Ho, is working towards creating standards for ASEAN member countries to ensure robust criteria for identification, development and nurturing of gifted children. “While the ASEAN integration aims to unite the ten member countries into one economic, multi-cultural community, development of its human capital is definitely a vital component,” says Dr. Ho. The ASEAN Association for Giftedness will provide a platform for regular meetings, joint researches, exchange programs and other innovations in gifted education that can help boost economies, including the Philippines’. “Modern growth theory has explained the vital contribution of human capital development in a country’s economic growth. Improvements are closely related to the level of cognitive skills of the population. This emphasizes the need to identify, develop and nurture gifted talents for the benefit of the country,” adds Dr. Ho. An ASEAN Summit on Giftedness sponsored by PCGE is scheduled in October. Dr. Ho hopes that this will stir interest and encourage parents, teachers, psychologists, guidance counselors and the gifted themselves to converse and exchange ideas about how to leverage on excellence for growth. The summit will feature global expert Françoys Gagné, Ph. D. and his Differentiated Model of Giftedness and Talent. Professor Gagné, supported by Promil Pre-School, will share his belief in the need for natural abilities to be nurtured in order for one to excel. With its long-standing thrust of encouraging excellence, Promil Pre-School has always worked hand-in-hand with parents’ support and proper care through the right learning environment to nurture gifts into exceptional talents that can benefit a larger community. Promil Pre-School's proven heritage of success is backed up by its long list of exceptionally talented children who have brought fame, encouragement, and positive influence to their communities and the country in one way or another. “Nurturing the gifted is not limited to ensuring that their gifts and talents are properly addressed through education, training, cognitive stimulation and other programs. Part of their nurture is to infuse values of maka-Diyos, makabayan, makatao (being God-fearing, patriotism, compassion). In this manner, the gifted themselves become gifts to others,” says Dr. Ho. According to the Department of Education (DepEd), there are 1.27 million gifted children in the country (2010 data) who may be in possession of exceptional abilities that, unfortunately, aren’t fully developed for lack of proper guidance and support. Wyeth Nutrition, formerly Pfizer Nutrition, is part of Nestlé S.A. Wyeth Nutrition develops premium-quality nutritional products scientifically designed to meet the needs of infants and young children, as well as pregnant and lactating mothers. As pioneers in infant nutritional science, our mission is to provide the best nutritional support for future healthy outcomes. For nearly a century, Wyeth Nutrition has leveraged clinical rigor, scientific research, world-class manufacturing and product safety standards to drive scientifically sound solutions that offer parents confidence, help nourish children and support their healthy futures. Following the success of the first season, Bonakid Pre-School’s Ready Set Laban is back with an even bigger action-packed game show for moms and kids. After hitting the airwaves and receiving the prestigious Anak TV Seal Award, GMA and Bonakid Pre-School have renewed their partnership, with the addition of Drew Arellano as the host of the much-anticipated TV show. “Drew is one of the most sought after hosts under GMA 7. He’s very energetic and enthusiastic, which is perfect for a fun and lively game show like Ready Set Laban,” says Claudine Serrano, Product Manager of Bonakid Pre-School. Arellano also expressed his excitement for the show. “A lot of people have asked me what’s on my wish list. I always say I want to host a show with kids!” The energetic actor is finally having his wish fulfilled as he steps in to host the second season of Bonakid Pre-School’s Ready Set Laban. “I enjoy the company of kids because they have so much energy! In fact, I’m also like a kid!” he adds. The challenges, based on popular Filipino games, will challenge kids’ strength, energy, and resilience, to bring out the “Batang May Laban” in them. Joining Drew to host the 8-episode-season are celebrity mommies: Julia Clarete, Ruby Rodriguez, Nina Ricci Alagao, and Donita Rose. “The moms on the show have a very significant role. I’m excited to be sharing my hosting duties with these four lovely moms,” Adds Drew. Ready, Set, Laban season 2 airs every Sunday at 10:45 am after iBilib, only on GMA Network. Bonakid Pre-School is a powdered milk drink specially formulated to help support the nutritional needs of children 4 years and older. It is high in calcium and a source of protein which build bones and muscles. It has iron and B-complex vitamins that provide energy and has high levels of Vitamins A, C, E and Zinc that help support the immune system. Help your child stay healthy and happy with a Triple Boost in growth, energy and immunity from Bonakid Pre-School! For more information about Bonakid Preschool and Ready Set Laban Season 2, please visit https://www.facebook.com/BonakidPreSchoolPH. If you are starting or will just about to start to introduce solid foods to your babies, you should try Bibibons Biscuit Nibblers. I remember when Meg was about to eat her first solid food, I initially gave her instant cereals and puree. Excitement and fun came in when eventually she enjoyed tasting different flavors. Last week, I was sent samples of Bibibons biscuits and my pretty baby cousin tried it. Oh how I miss this space! I feel sorry for not being able to update this very often but I promise to make more effort to write all my "naipong" kwento here. Anyway, let's kickoff this post with a delicious and healthy drink from Goody Gulp. 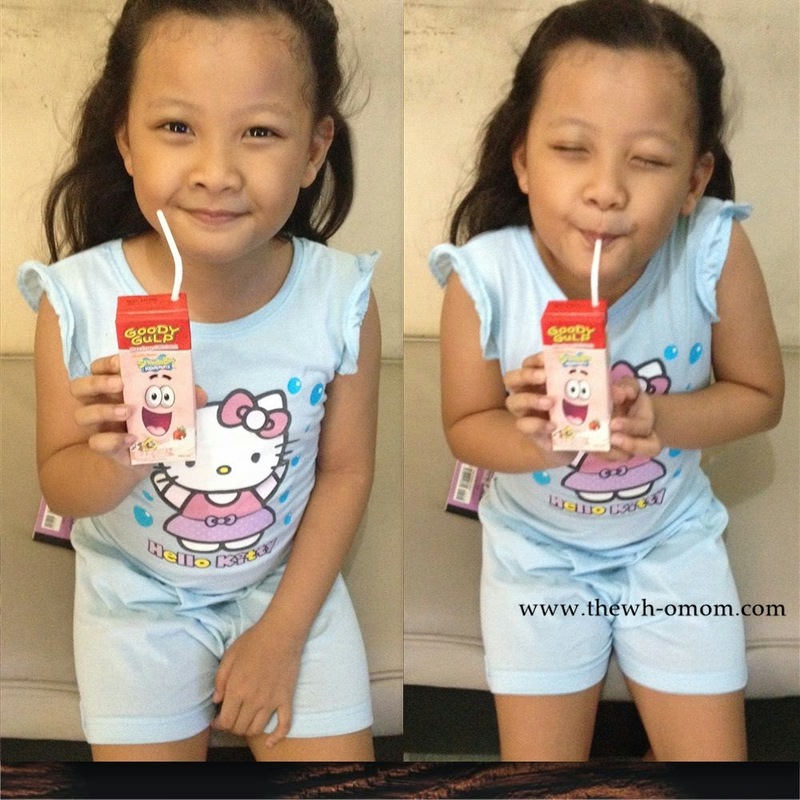 I received a Goody Gulp pack last Thursday (through Mommy Bloggers Philippines) and immediately chilled it so that my girl can drink it right away after school. She usually enjoys different kinds of drinks for snack and "baon" at school so trying out Goody Gulp for the first time delighted her. Goody Gulp is a delicious healthy milk drink made from New Zealand Milk with NO PRESERVATIVES. It comes in two flavors, Chocolate and Strawberry, with a catchy packaging design for kids featuring SpongeBob SquarePants and Patrick Star. Meg and my nephew Kieran loved it and after 3 days, they finished the pack of Goody Gulp already. 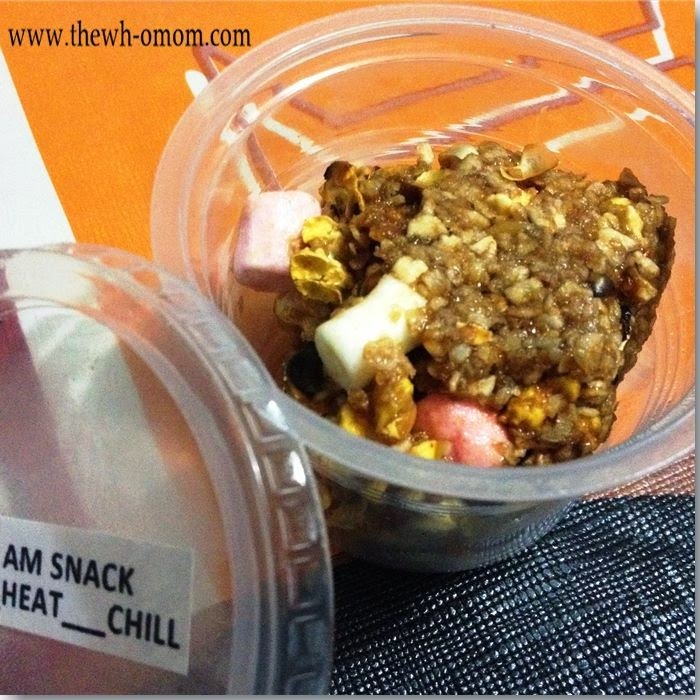 I tasted it and I like that it's not too sweet and the fact that it has no preservatives is a super plus point for me. I bet your kids will love it, too! Now on to the giveaway! Get a chance to win a Limited Edition SpongeBob Speaker and packs of four Goody Gulp Chocolate and Strawberry Milk Drink 230 ml. a) Read this blog post about Goody Gulp Milk Drink 230 ml. b) Click the survey link. d) Once done, email me at arielle_meg@yahoo.com with the date of the completion of the survey and your full name. 1. 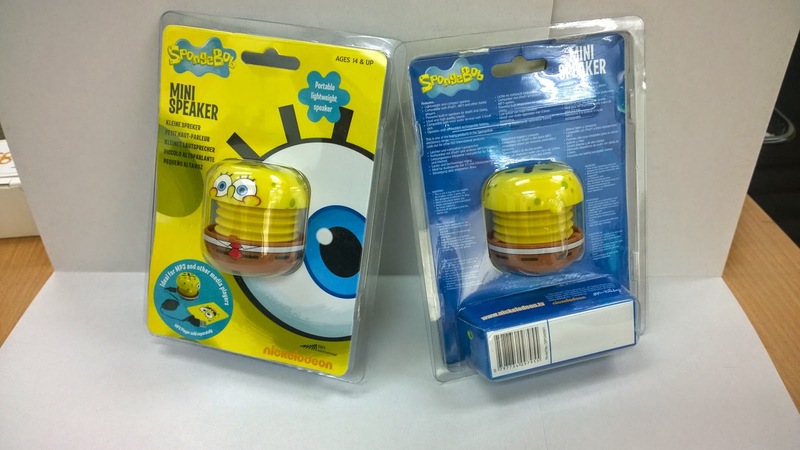 I will pick 3 winners - One (1) winner of a Limited Edition SpongeBob Speaker and two (2) winners of a Pack of four Goody Gulp Chocolate and Strawberry Milk Drink 230ml. 2. 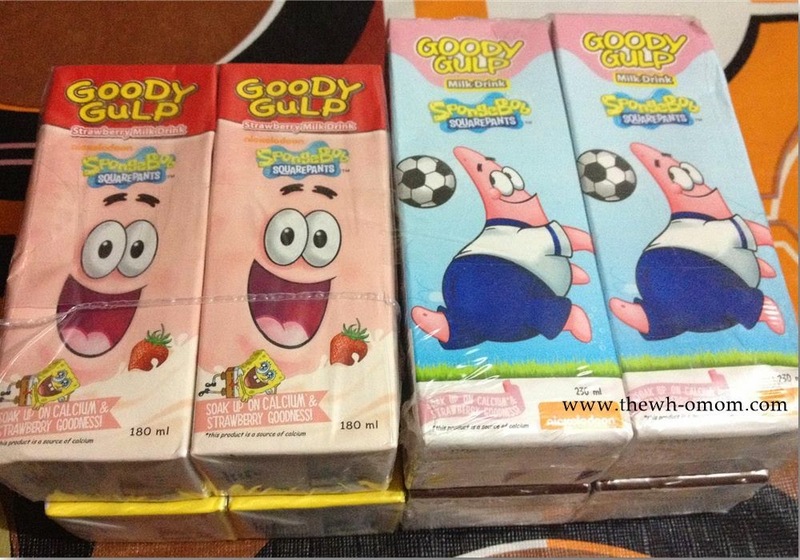 Goody Gulp will be responsible for the distribution and delivery of the prizes. 3. I will pick the winners not later than Oct.31, 2014. So you have more time to join! Thank you Goody Gulp for sponsoring this giveaway. 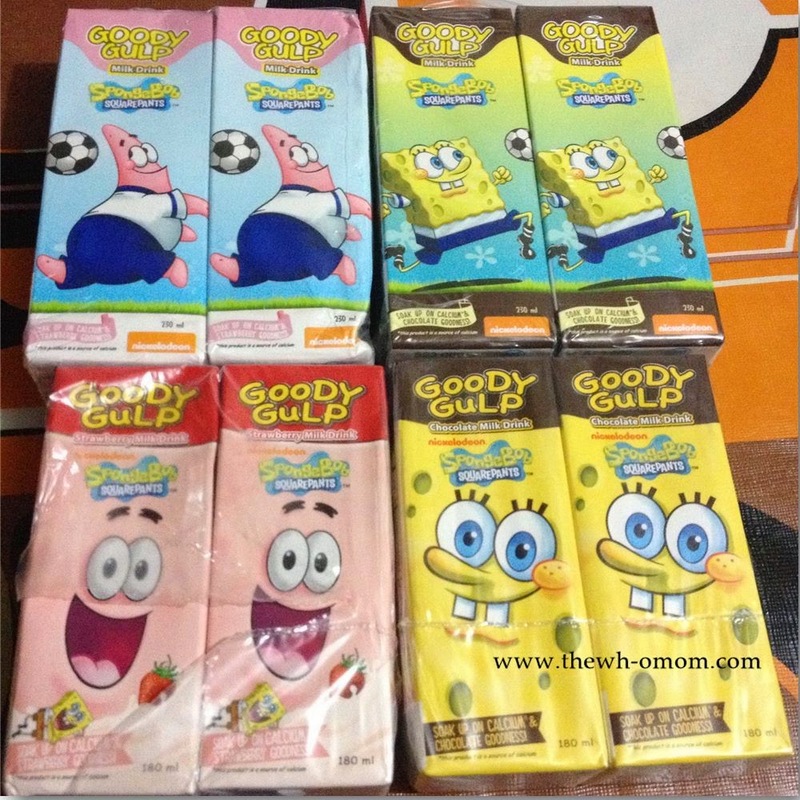 And Oh favor dearies, please like my Facebook page The Who Mom and Goody Gulp's FB page SpongeBobGoodyGulp. I love good food. If you're a follower on my IG account (http://instagram.com/eneri0411), you'll notice that I love posting photos of food - whether home cooked, from a restaurant, or Filipino food/delicacy given to us. I would not say it's all healthy since preparing healthy meals is quite a challenge for me due to my busy schedule and limited time. More than that, I worry that I will feel hungry at work if I go on a diet. Yah I know these are not valid excuses. 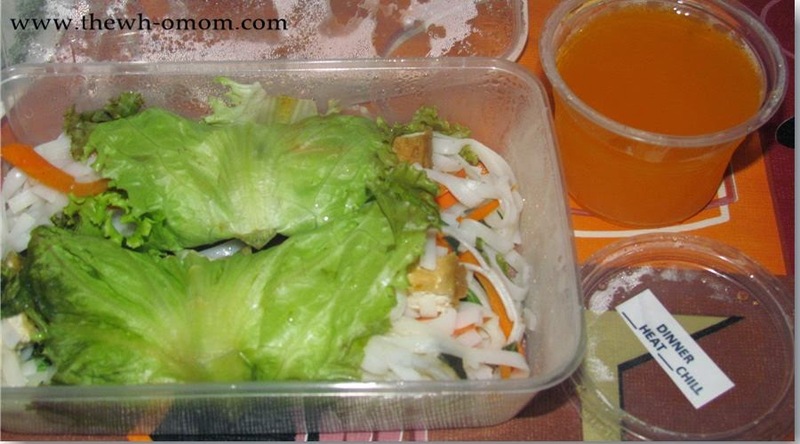 When our group, Mommy Bloggers Philippines, was offered by TheGoodBox to try their healthy and nutritious meals, I instantly got interested to try it out but also apprehensive on what to expect especially when it comes to its taste. I was given a 1200 kcal menu plan for a day. I like the idea of these food boxes especially when you have no time or have no idea how to count your daily calorie intake. I know in terms of practicality, this won't be okay for some but I think it is worth considering to try . 1. The meals are filling and delicious. To be honest, it didn't make me feel hungry. 2.TheGoodBox uses the best natural and organic products. Most of their produce are sourced from Gawad Kalinga’s ‘Enchanted Farm’ so you can help Gawad Kalinga with their livelihood projects. 3. 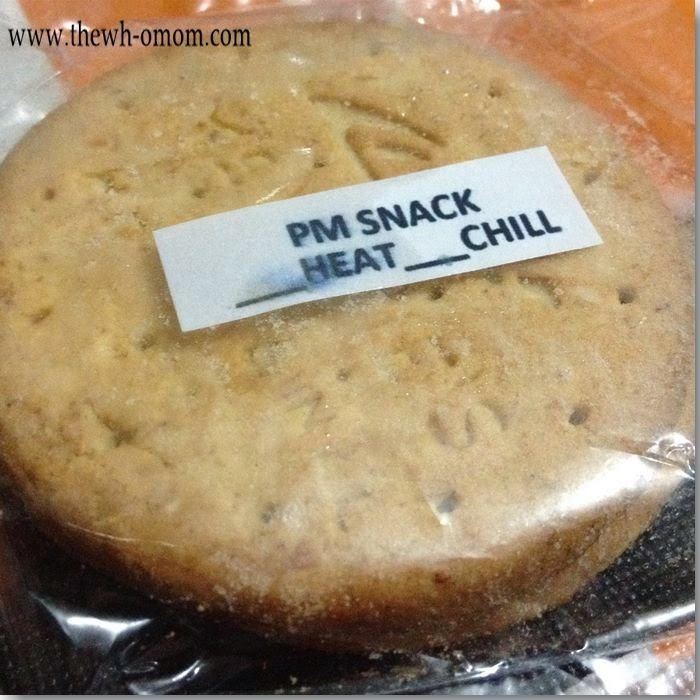 You can choose your meal plan. You can choose between six (6) different calorie menus for everyday of the week: 1200, 1500, 1800, 2100, 2400 and 2700 calories, to help you achieve your goals, whether it be slimming down, maintaining your weight, or trying to gain it. 4. The meals are nutritious and healthy. 5. Hassle-free. 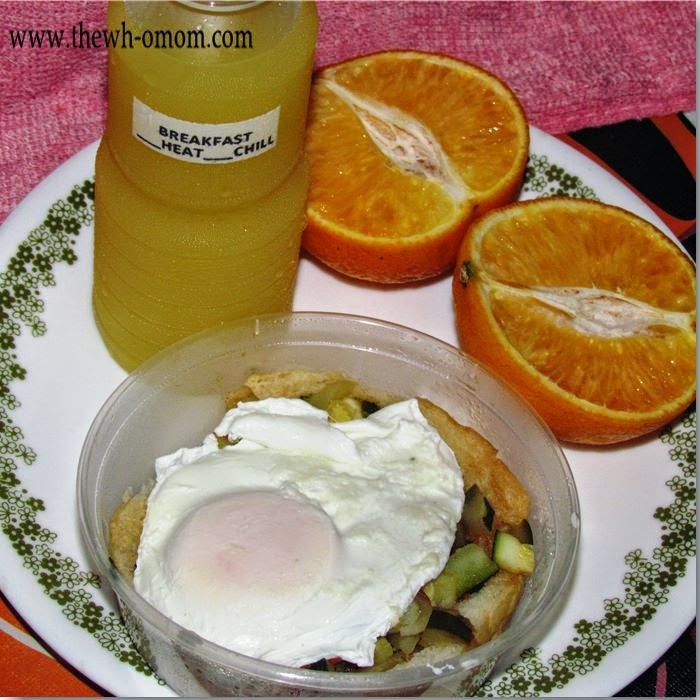 TheGoodBox meals are delivered in the comforts of your home. 6. 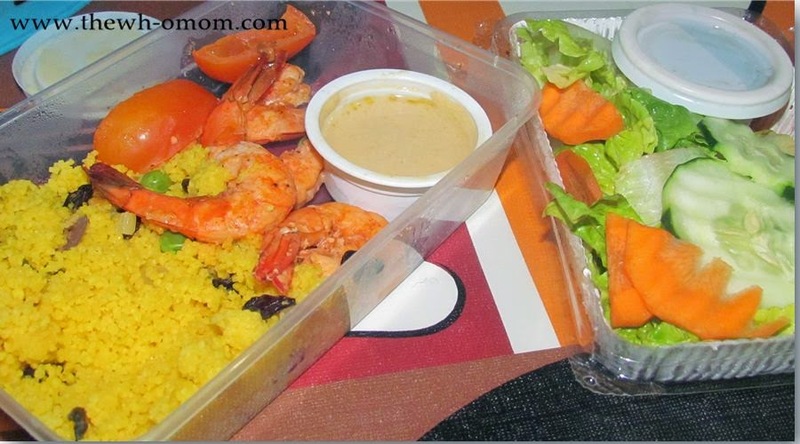 TheGoodBox uses biodegradable containers. They are now offering Special Meal Programs: South Beach Diet, Diabetic Diet, Hypertensive Diet and Pregnant-Diabetic Diet Programs. Finally! Yah you could say I'm screaming (not literally though). I finally had the time to visit this cyberspace. I was again absorbed (well I know some of you may know that this happens every start of the school year) and bombarded with lots and lots of work plus a leveled-up gradeschooler whose academic and extra-curricular activities are more loaded than mine. This school year has greatly improved with Meg's more independent acts and more matured "kwento" about school. If I had to bring up my post about her first week of Grade two, I'd say she became more responsible in handling her school things and doing things on her own. I didn't actually understand when she told me she was nominated to become one of their class officers. When she went home on the day of the election, she proudly said she won as their OD 3 (Officer of the Day 3). They're like the Kagawad since the major officers are President, Vice-President, and Secretary. OD's have specific responsibility such as to check if the room is clean, that no one walks around the classroom when the teacher is not around, to assist the three major officers, etc. This one came as a bit shock to me since being responsible is the last entity of her childhood that I think would have an upgrade. I had to ask her how she was chosen as nominee and she answered, "I was nominated!" Pa'no nga? "I respectfully nominate... " So, naniniwala akong may kaibigan si Meg sa klase hehe... ツ She cried nga daw when she didn't win as President, three lang daw votes nya. I asked her if she voted for herself, NO daw haha! Funny lang that I was always the President of our class since Grade 4 yata, and now my little girl fancies of becoming one.